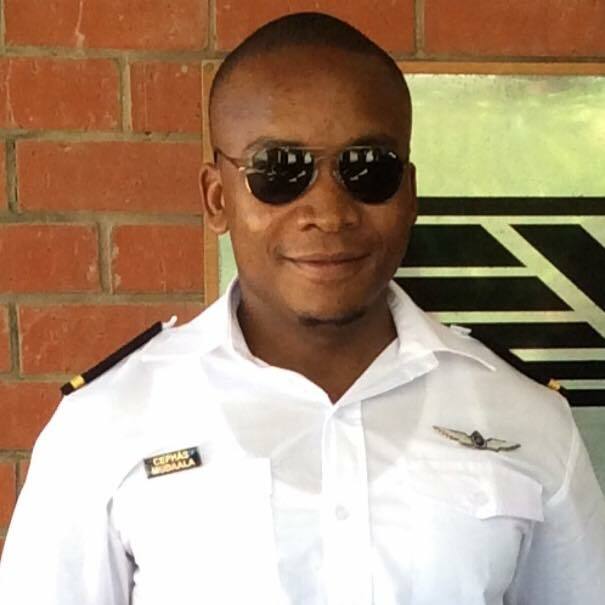 Meet Captain Cephas Mudaala (above) of the Zambia Air Force and guest of the week on the most recent edition of the Chanters Lodge Experience with the Milli Jam Ingredient featuring Jay Hillz. The Experience is our weekly radio show airing at 20.30 hrs CAT for an hour live every Sunday night on Zambezi 94.1 fm, Livingstone’s leading local radio station. The show is a great mix of local and international pop music and conversation with our guest. We also give social media and pop chart updates, each and every week. Cephas told listeners that although he is based in Lusaka, he was currently in Livingstone for a month on training. After completing secondary school at St Raphael’s School in Livingstone Cephas had joined Fairmount Hotel as an accounts clerk, then Sun International in the same capacity. He had joined Zambia Air Force some twelve years ago. Working his way up he had obtained the rank of Captain, was a trained pilot and now an instructor of pilots! He flies the MA60 – a Chinese aircraft. “So you sing the R Kelly song “I Believe I Can Fly”? I enquired. “R Kelly – one of my favourite artists” the dead pan reply! The music on our show was good. We played tracks from Fuse ODG, Walk The Moon, Zedd ft Selena Gomez, Olly Murs, Rixton, Afunika, Kevin McCall, Iggy Azalea ft Jennifer Hudson and Jaguar ft 2 Kind – the latter one of Zambia’s latest hot acts! Cephas told us that he is married and that his wife is also in the Zambia Air Force – a lieutenant by rank, though apparently in command in the home! “Was it love at first sight?” Milli Jam wondered. “Funny that!” Remarked Cephas “when we met, the first thing I said to her was ‘we will marry’ and she had laughed, but I had the last laugh!” He and his wife have a two year old little boy Luyando. ‘Love’ it means! “Naughty?” I wondered. “Very!” The reply. Having been brought up in Livingstone Cephas said he was very familiar with the many tourist activities in Livingstone and although he had never bungee jumped he had almost’ done it and ‘would love to do it’. He had also never jumped out of a plane – we guessed that he flies planes so that others can! He and his wife had recently though had a great time at Mukuni Big 5 riding elephants and walking with lions. It transpired that our Guest supports Manchester United, claiming that he was ‘forced into it’ by his elder brother. Just imagine! We then spent some time discussing Arsenal players and Jack Wilshere’s two goals for England in an international that afternoon. When not flying planes, teaching others to fly or looking after Luyando, Cephas enjoys sleeping and listening to music. Asked where he would like to be and what he would like to be doing ten years’ from now, Cephas said he would like to be a General in charge of Zambia Air Force.